Professional in-office teeth whitening is the most popular cosmetic dental procedure in the world today. Unlike home-use whitening systems that incorporate low-dose bleaching agents, in-office whitening (also known as power bleaching, power whitening, professional whitening or chairside whitening) takes place under carefully monitored conditions which allow for the safe, controlled, pain-free use of a relatively high concentration of bleaching gel  yielding results that are visible immediately. In-office bleaching is more expensive than take-home alternatives. Its cost, on average, is $650, compared to $400 for take-home trays and under $100 for over-the-counter bleaching trays or whitening strips. Teeth with certain stains  typically those that are inorganic  do not respond well to in-office whitening. In fact, these teeth may look even darker after the surrounding teeth have been whitened. Trauma, which causes the dentin to darken. Tetracycline antibiotics ingested during tooth-formation. These drugs chemically bind with the crystalline structure of both the tooth's enamel and underlying dentin. Tooth and gum hypersensitivity. To avoid a hypersensitive reaction, your dentist is likely to recommend take-home bleaching trays with a low concentration of carbamide peroxide  which is not as potent as hydrogen peroxide. Deep and intractable staining. Some stains are resistant to high-concentration in-office bleaches. 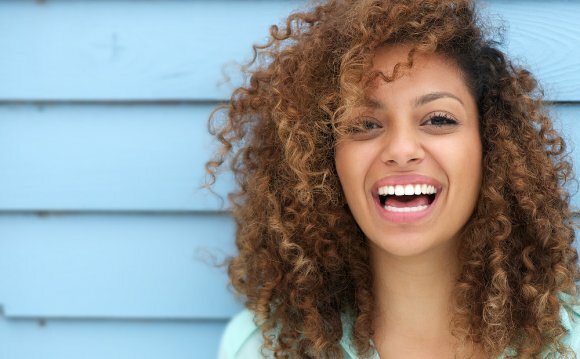 In such cases, dentists may recommend a supervised regimen of intensive take-home bleaching or alternatives to peroxide bleaching such as bonding, crowns or porcelain veneers. A dental exam will be performed (often in tandem with the prophylactic cleaning) to check for potential problems such as severe tooth decay, cracks and gum disease. Bleaches can cause varying degrees of irritation if these conditions are present. Your dentist will likely delay the whitening procedure until such problems have been corrected. Photos may be taken of your teeth, and their color measured on a shade guide. This provides a benchmark for assessing your whitening progress.